1. 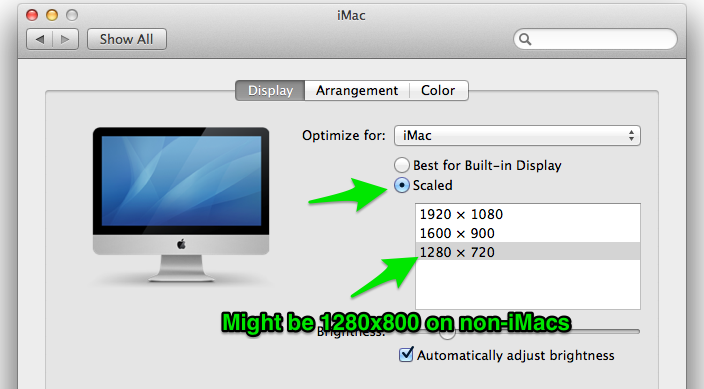 Change your display resolution to 1280x720 (might be 1280x800 in the Studio/IsoBooth) by going to System Preferences > Displays > Scaled. 2. Prepare your Presentation document (InDesign, Pro Tools/Reason, Dreamweaver) - resize for the new screen resolution. Turn on the speakers so that you can also record the audio for Pro Tools/Reason. 4. 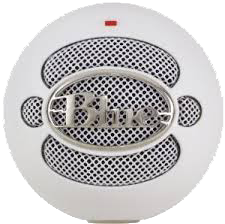 Choose the Blue Snowball mic so that you have a stereo audio track. Click on the Red box to record. 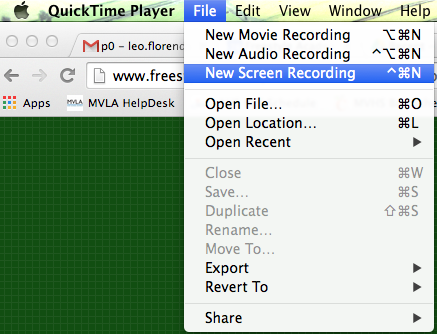 Click once on screen to start recording FULL screen. 6. To stop recording, click on the circle with the square in it at the top of the screen. Once stopped, you'll see the recording displayed to you. Save the file where it's needed.